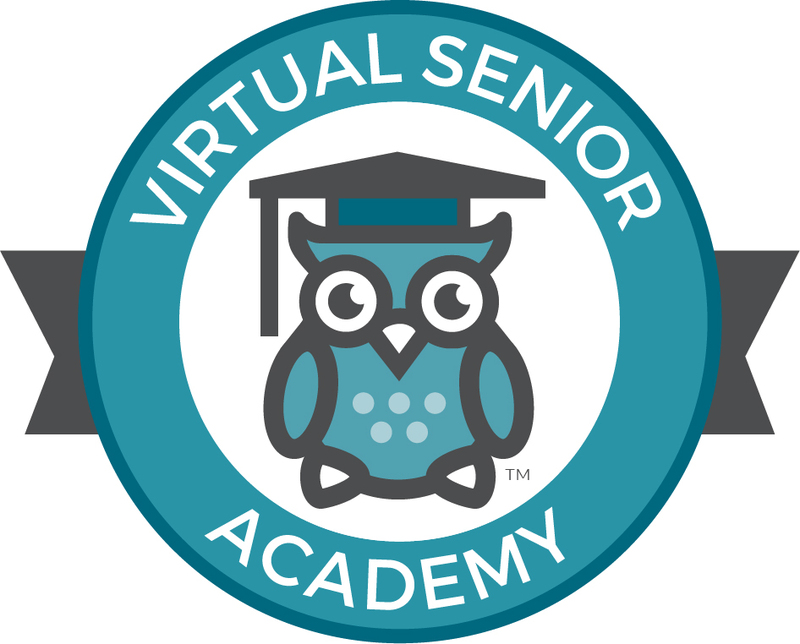 Virtual Senior Academy (“VSA”), accessible at www.virtualsenioracademy.org, is a web-based interactive social and learning Internet site dedicated to improving the well-being of seniors. VSA is a product of the Jewish Healthcare Foundation (“JHF”) a Pennsylvania nonprofit corporation. Through VSA, users can access interactive courses and associated information, digital materials and Internet links. VSA is a resource presented to provide educational and social engagement. The information conveyed in interactive classes and in digital materials available through VSA (“Content”) is not intended as a substitute for professional medical or legal advice. For medical questions or issues, consumers should always consult with a health practitioner. USERS RELY ON THE CONTENT ON VSA AT THEIR OWN RISK. We reserve the right to review any and all content at any time prior to or after it is published by users of VSA. We do not oﬀer you any warranty or guarantee related to VSA. We SPECIFICALLY DISCLAIM ANY WARRANTIES, EXPRESS OR IMPLIED, INCLUDING IMPLIED WARRANTIES OF MERCHANTABILITY, NON- INFRINGEMENT OF THIRD PARTY RIGHTS OR FITNESS FOR A PARTICULAR PURPOSE. WE DO NOT WARRANT OR GUARANTEE THE ACCURACY, COMPLETENESS, CORRECTNESS, TIMELINESS OR USEFULNESS OF ANY INFORMATION, PRODUCTS, SERVICES, MERCHANDISE OR OTHER MATERIAL PROVIDED THROUGH VSA OR ON ANY SITES/RESOURCES LINKED FROM VSA. WE MAKE NO WARRANTY OR GUARANTEE THAT THE SERVICE WILL BE UNINTERRUPTED, TIMELY, SECURE OR ERROR FREE. IN NO EVENT WILL WE BE LIABLE TO YOU OR ANYONE ELSE FOR ANY DECISION MADE OR ACTION TAKEN BY YOU OR ANYONE ELSE IN RELIANCE UPON THE INFORMATION CONTAINED IN OR PROVIDED THROUGH VSA. It is your responsibility to evaluate the content available on VSA. If you are a health care professional, you should exercise your professional judgment in evaluating any content, and we encourage you to confirm the content contained on VSA with other sources before undertaking any treatment or action based on it. If you are a consumer, you should evaluate the content together with your physician or another qualified health care professional. USER EXPRESSLY AGREES THAT HE/SHE IS RESPONSIBLE FOR ASSESSING THEIR PHYSICAL AND MENTAL ABILITY TO ACCESS AND PARTICIPATE IN VSA SERVICES, INCLUDING BUT NOT LIMITED TO PHYSICAL EXERCISE CLASSES, AND ASSUMES THE FULL RISK OF PARTICIPATION. Whether the content comes from JHF or from a user of VSA, WE ARE NOT LIABLE FOR ANY CONSEQUENTIAL, SPECIAL, PUNITIVE, OR EXEMPLARY DAMAGES RESULTING FROM YOUR USE OF THE CONTENT ON VSA. REGARDLESS OF WHETHER WE HAVE BEEN ADVISED OF THE POSSIBILITY OF ANY LOSS OR DAMAGE AND NOTWITHSTANDING THE FAILURE OF THE ESSENTIAL PURPOSE OF ANY REMEDY YOU OR ANYONE MAY HAVE. You understand and agree that we cannot and do not operate, control, supply, endorse, warrant or guarantee any information, products, services or merchandise available on VSA or through the Internet, in general, in any way. You also understand and agree that we cannot and do not warrant or guarantee that files available for downloading through the website will be free of infections or viruses, worms, Trojan horses or other code that contains contaminating or destructive properties. You understand and agree that you are solely responsible for implementing suﬃcient precautions, procedures, and checkpoints to satisfy your own requirements for the accuracy of data input and output, and for maintaining a means external to VSA for the reconstruction of any lost data. We do not assume the responsibility for the loss of any information, data, or other materials resulting from your use of VSA. Content on VSA may include links to external websites. VSA prohibits links to websites or organizations that are commercial or product-based; pharmaceutical or medical products organizations or services; consulting services; or other types of organizations or websites, as determined by VSA's sole discretion. Although we are selective about the organizations we link to, WE DO NOT ASSUME ANY RESPONSIBILITY FOR ANY WEBSITES THAT ARE LINKED TO VSA OR THAT YOU BROWSE AFTER FOLLOWING A LINK FROM VSA. While we welcome your feedback on VSA, we reserve the right to make the final decisions about the content that is posted on the site and to remove such content in our unfettered discretion for any reason or no reason. If you believe that your work has been used on VSA in a way that constitutes copyright infringement, please contact our Copyright Agent by following the procedures described below. To register other types of complaints, you can use the “Contact Us” features or any other feedback link on our site to send us comments and criticisms, but IF YOU ARE DISSATISFIED WITH OUR RESPONSE OR WITH THE CONTENTS OF VSA, YOUR ONLY REMEDY IS TO STOP USING VSA. We or our partners also own the names we use for our products and services on VSA, and these names are protected by trademark laws in the US and internationally. All trademarks are the property of their respective owners. If your activities are noncommercial, you may make use of our trademarks by linking to us or discussing us with others, as long as you make it clear that we are the owner of the trademark. Any other uses of our trademarks require our prior written approval unless they constitute permissible fair use under applicable law. In a non-JHF product or service name or publication title. Within or as part of your own trademarks. To identify non-JHF products or services. In a manner which will likely cause confusion. In a manner that implies that JHF sponsors, endorses or is otherwise connected with your activities, products, or services. In a manner that disparages JHF. You may not modify the content or any copyright notices or source indications. You may not repackage VSA content for commercial purposes or otherwise oﬀer it for sale. You may not frame VSA or incorporate pieces of it into a diﬀerent site or product. You may not link to VSA if you create or post illegal, obscene, or oﬀensive content, or if the link in any way has a negative impact on our reputation. Note that some content posted on VSA originates from outside sources that have granted JHF permission to post this content to our website only. Any further permissions for this content must be sought directly from the content owners. You may not post any content, links or code that would be, in the sole and absolute determination of JHF I, misleading, false, defamatory, vulgar, inappropriate, or harmful. We disclaim any liability for moderating such content but reserve the right to remove any such content at any time without your consent. If you submit or post any content or intellectual property to VSA, you represent and warrant that your submission or posting does not infringe the rights of the owner of such content or intellectual property or any other third party. You further represent and warrant that the owner of such content or intellectual property has expressly granted, or allowed you to grant, to JHF a royalty-free, world-wide, irrevocable, perpetual, nonexclusive license to use, reproduce, create derivative works from, modify, publish, edit, translate, distribute, perform, and display such content or intellectual property in any medium, form, format, or forum whether presently existing or developed later, and to sublicense such rights to others. YOU ARE EXPRESSLY PROHIBITED FROM UPLOADING ANY IDENTIFIABLE, PATIENT-LEVEL HEALTH INFORMATION INCLUDING BUT NOT LIMITED TO INFORMATION THAT WOULD FALL UNDER THE HEALTH INFORMATION PORTABILITY AND ACCOUNTABILITY ACT OF 1996’S DEFINITION OF PROTECTED HEALTH INFORMATION (PHI). I, the undersigned, in exchange for good and valuable consideration, and without further consideration, do hereby irrevocably grant the JEWISH HEALTHCARE FOUNDATION (JHF), its parent, aﬃliates, subsidiaries, licensees, successors, nominees, agents, assigns, and those for whom it is acting, my consent and the unrestricted right and permission to copy, publish, republish, edit, record, reproduce, broadcast, rebroadcast, distribute, transmit, exhibit, copyright, sell, merchandise, disseminate, use or otherwise exploit, either in whole or in part, in any way throughout the universe and in perpetuity the audio and/or visual portions of any videotape, film, pictures, prints, stills, promotional materials or other recordings of me made in connection with the JHF and VSA and any reproduction thereof, for use through any medium or media now known or hereafter devised including, but not limited to, newspaper, home video release (whether by cassette, laser disc or other means), television (whether by free, pay, pay-per-view, cable, broadcast, video on demand, near video on demand, interactive, satellite or community), the internet, webcast, CD-ROM and other interactive means. I understand and agree that the photographs, films, videotapes, pictures, prints, stills, promotional materials or other recordings of me may be used with or without identifying me as their subject. Such right and permission shall be exercisable, in whole or in part, at the sole discretion of JHF, its parent, aﬃliates, subsidiaries, licensees, successors, nominees, assigns, or agents. I understand that any statements and any reference to me in the photographs, films, videotapes, pictures, prints, stills, promotional materials or other recordings of me may be used in connection with the promotion of JHF and VSA, in any of its fund-raising campaigns or by any of its clients. I hereby waive any right that I may have to inspect or approve any finished product, derivative thereof or the use to which such finished product may be applied. I hereby release, discharge and agree to hold harmless JHF, its parent, aﬃliates, subsidiaries, licensees, successors, assigns and agents and those from whom it is acting, from any liability, claim, or cause of action, now known or later discovered, including without limitation, liability for libel, invasion of any right of privacy or publicity, and defamation arising out of the use of any photographs, films, videotapes, negatives, prints, stills or other recording of me, or reference to me, or of any scene or sequence in which my likeness or such reference appears. I hereby warrant that I am age 18 or older. I acknowledge that I have read and understand this Consent and Release prior to agreeing to the terms herein. Unless expressly permitted by JHF, you may not use VSA or any information, tool or service provided by VSA to solicit other users for any commercial purpose or to advertise commercial programs, products, or services of any kind for which a fee is charged. To contact our Copyright Agent for notice of claims of copyright infringement on or regarding VSA, email info@virtualsenioracademy.org or write to Jewish Healthcare Foundation, 650 Smithfield Street Suite 2400 Pittsburgh, Pennsylvania, 15222. A statement by you that you have a good faith belief that the content was removed or disabled as a result of mistake or a misidentification of the content; and A statement by you made, under the penalty of perjury, that the above information in your counter-notice is accurate and that you have authorization from the copyright owner, the copyright owner’s agent, or pursuant to applicable law to post and use the content in your user submission. Please send such notice to our Copyright Agent at: info@virtualsenioracademy.org or by writing to Pittsburgh Regional Health Initiative, 650 Smithfield Street Suite 2400 Pittsburgh, Pennsylvania, 15222. If a counter-notice is received by JHF, JHF may send a copy of the counter-notice to the original complaining party informing that person that JHF may restore the removed content or cease disabling it in 10 business days. Unless the copyright owner files an action seeking a court order against the member or user, the removed content may be restored, or access to it restored, in 10 to 14 business days or more after receipt of the counter-notice, at the sole discretion of JHF. JHF makes no representation that materials on VSA are appropriate or available for use in other locations, and accessing them from territories where their contents are illegal is prohibited. Those who choose to access VSA from other locations do so on their own initiative and are responsible for compliance with local laws. We pay special attention to privacy issues. You should exercise caution when deciding to disclose any sensitive information on VSA. These uses are more fully described in the VSA Policies and the Appearance Consent and Release. If you do not comply with these terms, as determined by JHF in its sole and absolute discretion, we have the right to block your access, suspend or eliminate your registration, and remove any content or other information you have placed on our site. We may also take any legal action and/or report uploaded content to the appropriate authorities if, in our sole discretion, we think such recourse is appropriate. If your use of VSA or violation of this Agreement causes harm to yourself or others, you agree to defend, indemnify and hold JHF harmless against any liability for that harm.